We treat, we rehabilitate, we care. When someone is recovering from an illness, surgery, or injury, regaining the functional abilities can be a hard thing to do. 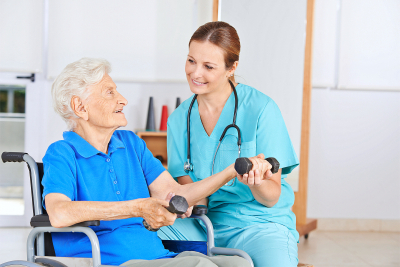 Our multidisciplinary team of therapists helps you regain your overall mobility and strength through a wide range of rehabilitative services. The main goal of these services is to help patients maintain a healthy lifestyle and develop their skills so they can have a worthwhile living. Take advantage of our therapy services and see the desired results. Contact us ahead at 419-491-0823. If you happen to know some friends, colleagues, or family members who might need our rehabilitative care, recommend us to them or refer them to us, either.